Did Mark Twain and Charles Dickens Ever Meet? Mark Twain and Charles Dickens were arguably the greatest writers of the 19th century in America and Britain, respectively, and were certainly the most popular. Their careers follow a sort of parallel route as both used their stories to highlight the plight of the downtrodden, and both used the skewer of humor to deflate puffed-up authority figures. A question came up in a writer’s panel I once attended pondering whether they ever met. It turns out I’ve done a little bit of research into that very question. I’m fascinated in instances of famous historical personages meeting, and the stories behind them. The famous photo of Nixon posing with Elvis in the Oval Office always comes to mind, although there are many other famous meet-ups in history. Twain was a great admirer of Dickens and his work, and read him over and over his entire life (even, it has been intimated, “borrowed” some of Dickens’ characters). But it turns out that no, Mark Twain never met Charles Dickens. However, his review also left little doubt that he was not impressed with Dickens’ public speaking style, and was rather disappointed about it: “He is a bad reader, in one sense — because he does not enunciate his words sharply and distinctly — he does not cut the syllables cleanly, and therefore many and many of them fell dead before they reached our part of the house… I was a good deal disappointed in Mr. Dickens’ reading — I will go further and say, a great deal disappointed.” Perhaps Twain’s appreciation was hindered by his seat in the middle of the theatre, or perhaps he was distracted by his companion. He was, after all, on his first date with Olivia Langdon, the woman who would become his wife a couple of years later. Mark Twain also takes part in several other mind-boggling meetings: Rudyard Kipling, Helen Keller, Winston Churchill. One final story, which may be apocryphal, but is too good to pass up: At a dinner party hosted by Robert Underwood Johnson, a New York writer and editor, Mark Twain, Nikola Tesla, and the environmentalist John Muir were all in attendance. According to one account, Tesla attempted to convince John Muir that his power plants would reduce fossil fuel use. Muir was having none of that and observed that by diverting water upstream from Niagara Falls for the power station, he was already causing environmental damage. One hopes that Mark Twain made a clever comment at this point to lighten the mood, but if he did, it has been lost to history. Query from the author: This blog post has been one of the most popular I’ve posted, and I wonder why people are coming to it. Just curiosity? Or is there some other force compelling people to search the Dickens and Twain relationship? Leave a note in the comments. Thanks! This entry was posted in History by mjtierney1. Bookmark the permalink. I’ve seen a picture of Twain in Tesla’s laboratory, as they were friends. So the meeting with John Muir isn’t too unlikely. I think genius calls to genius, just as hate calls to hate and love calls to love. It’s well documented that John Muir met Twain and Tesla when he was in New York. What I can’t find is a reference to Muir calling Tesla out on the environmental effects of his technology. I saw it somewhere on the web, and remember feeling at the time that the reference was kind of sketchy. Now I can’t find it at all. Still, a good story! I agree. No link means it’s (lazy) historical gossip. This blog ought to footnote contentions that need them, ones that claim something less known (if it wants to be taken seriously and not just as entertainment). Meant to add that this is otherwise a fascinating anecdote. Oh, how I got here: I’m listening to a very well-read audible version of David Copperfield, my favorite book in childhood ($2 if you get the *free* kindle version https://goo.gl/uZYCK3 ). My other favorite was The Adventures of Huckleberry Finn. I joined the authors’ names with “meet” and yours was the second search result. I really like this article! These are two of my favorite authors. 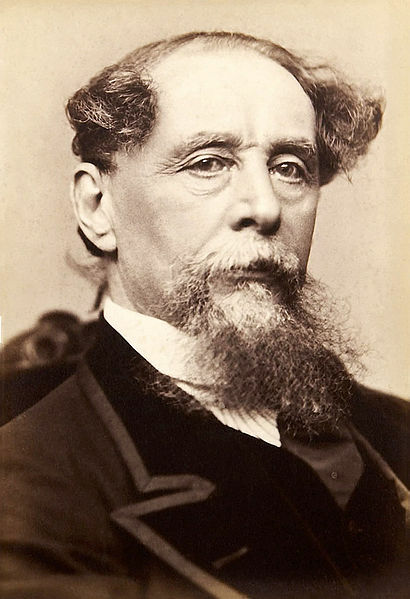 Dickens’s health may have played a part in his performance. Two years before Twain saw him perform in 1867, Dickens was in a train accident and never fully recovered. He toured with his own physician to monitor his health. It has been reported that he could not tolerate solid food and often subsisted on a liquid diet of sherry and raw eggs. Interesting information! I remember reading about the train crash. Didn’t he help the victims until the authorities arrived? I believe so, Although he was injured at the time as well, he pitched in to help. On the occasion marked by the Google home page of the birthday of Lucy Maud Montgomery I noticed a picture of Dickens and spontaneously got to wondering if he and Mark Twain had ever met, and if so, what that would be like. First, thanks for this little article. It’s a gem. Second, you wanted readers to say why they came here so I will. I thought I’d had a really good idea for a story about Charles Dickens. It goes something like this. On his first, disastrous trip to the US in 1842(?) he meets a young lad on an undocumented outing in Missouri. The boy’s precocious insight into the human condition leaves Dickens with at least a glimmer of light and hope where the perceived roughness and the acquisitive new nation had stained his whole view of humanity itself. Things occur as time passes but years later, when Dickens apprehensively visits for the second time in 1868(?) he meets the boy again who has, in the intervening period, become Mark Twain. A brief encounter and a conversation convinces Twain finally to become the novelist Dickens always knew he was destined to be, and as great if not greater than himself (however ‘greatness’ is measured). It’s potentially an interesting plot (I thought). Excited by this thought, but also aware that I am a very average human being, I figured I’d better check whether it hadn’t already popped into a smarter mind before. Then I wondered whether or not the meeting had actually happened some time, somewhere, for real. I was not surprised to find that the former was true – lots of people have had this idea – but I was surprised to find that they had been in the same room as each other during Dickens’ second trip – that they had, if not met, then shared a moment beyond mere contemporaneousness. And I have you to thank for that. So, thank-you. Thanks for the compliment on the article. Your story idea sounds like a winner! I’d love to read it when it’s finished. Likewise, I’ve been a tremendous admirer of these two for many years. One question, though: While Twain was well aware of Dickens’ work, was the older man aware of his? Good question. I think the answer must be no, because Dickens died in 1870, just as Twain was starting out being published (and not yet famous). 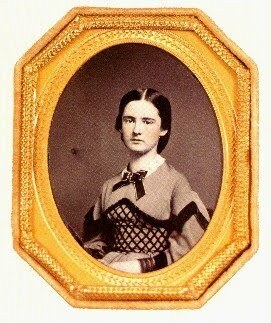 The Innocents Abroad was published in 1869. I love Dickens so much that I’m always looking for information that reveals details of his life–from as many perspectives as possible. (I’m finally reading Pickwick, all that remain unread are Old Curiosity Shop and Edwin Drood; but I’ll always have the pleasure of re-reading his novels again and again.) Sometimes I google Charles Dickens and _____ just to see if he commented on or met the person I’m thinking of. So I googled Charles Dickens and Mark Twain hoping that somehow, somewhere their paths had crossed. Your blog article was absolutely fascinating. Thank you for doing the research! You wonder what brought me to your site. I’ve been reading Dickens, and it suddenly hit me that his career across the Atlantic was roughly paralleling Twain’s career here, so I wanted to know what the relationship, if any, there was between them. I very much enjoyed your article. Thank you. I am a senior in high school, and for my final English research paper, I chose to compare and contrast the lives and works of these two great authors. Just out of curiosity, I Googled their names together and this wonderful article popped up. Thank you for the information, it has been most helpful! Having just finished re-reading books by Twain and Dickens, I was reflecting on the differences between English and American 19th century society, the women’s characters and qualities in the books, and the differences between English and American humour (as one does when canning tomatoes), and it struck me that each had crossed the Atlantic, and I wondered if their paths had crossed. and the top auto-completed question was “Did Charles Dickens ever meet Mark Twain?” This is, apparently, a burning question for many people. Thanks for the information! Who had the greater fortune at the time of their deaths? I was searching Google with the question contained in your title, so your blog came pretty close to the top of the response. It’s a well written piece, so I’m glad I came here & will probably look in from time to time. FYI I also looked at http://www.twainquotes.com/18680205.html which contains Twain’s full review of Dickens’ performance. BTW, the £19,000 Dickens earned in 1868 is about £1,957,000 in 2017 – just under 2 million quid! As a retired old coot & a long lapsed engineer with a retained interest in maths & science, anybody like you who has real credentials in proper science gets my attention. The MSM is awash with pseudo-science, press releases presented as technical papers & thinly disguised political agendas masquerading as scientific consensus. Your fiction writing provides entertainment without pretending to be anything else ;^) . One is compelled to search about the Twain-Dickens relationship on reading “A Connecticut Yankee in King Arthur’s Court”, since here Twain describes the French Revolution as a mere episode in comparison to the millions deaths caused by aristocracy and church over the centuries – “A Tale of Two Cities” obviously comes to mind and it seems like Twain’s and Dickens’ take on the question are rather different (but I’m not done reading the book). I say Mark Twain is my favorite author. But it is unlikely that you can love Twain and dislike Dickens or vice versa. I think Dickens greatly influenced Twain and his most popular satirical works and has so much of the Dickens back handed humor, original and entertaining characters with a genius for giving them their names to fit their roles that it would be hard to think it hadn’t. Twain admitted many times he had often read and admired Dickens although in his later years confessed to find them more of a formula than the pure genius he had first credited him with. Maybe it was also a reflection he may have felt himself after having written so many books in a similar style, that maybe he too felt a bit cynical about his own methods of writing. 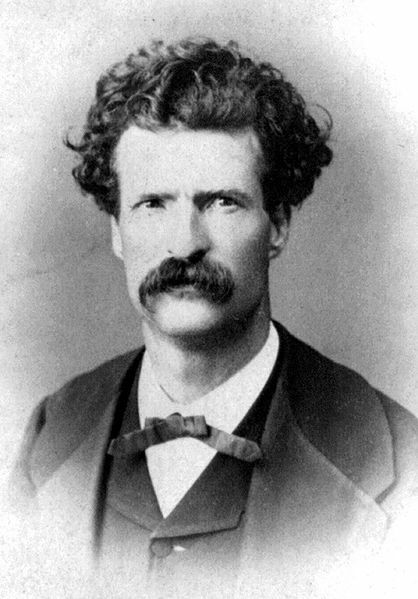 I know Twain was disappointed hearing Dickens read, due to his poor reading style, with out the personifying of the characters with the tone and dramatics Twain later was famous for in the readings he gave. One reason it may be this article is most popular is that these two authors are the Grand Doyens in of the Victorian era novel, whose similarities have seemed to merge as the years have gone by. Both were National treasures in their respective countries at the time and are both now Global icons, well-loved by many all around the world in a modern age when old and classic, slow and moralizing, long and detailed is most often scorned. Because of their wit and genius, these two men have held our attention and our hearts in a way few of the Victorian contemporaries could. Just my opinion and obviously a big fan of both men. You wondered why there’s so much interest in the possible meeting of Dickens and Twain. I’m interested because of a theatrical presentation I’m creating for my children’s school about novels/stories/fairy tales that have been turned into musicals. Since both the adventure stories of orphaned and abused boys Oliver Twist and Huckleberry Finn take place in the 1830s-40s, I thought there might have been an affinity between the authors. I was glad to read that Twain was an admirer of Dickens. Thank you! My favorite books made into movies are Oliver Twist and Huckleberry Finn so like all subjects you want to know who was considered the world’s best or at least the better of the two. I think we have no winners or losers. I appreciate the answer. I just wondered because they were roughly contemporaries – they both were plagued with money problems from time to time and pressed to write – they both were frustrated by gaps in intellectual property protections at the time, which if more respected would have made their lives a lot easier.